Winnebago has a long standing reputation for quality all throughout RV history. Now they have brought that quality to a new line of travel trailers. We’ll start by showcasing the Winnebago Ultralite Travel Trailer. As you walk inside the coach, you will feel right at home. The kitchen boasts solid surface counter-tops, glazed maple fascia and cabinet doors, a large kitchen island, beautiful brushed nickel hardware and pull out kitchen sprayer. This is one kitchen you will really enjoy making delicious meals for you friends and family in. The trifold sofa is perfectly plush and inviting. The bathroom features a residential shower with glass door, porcelain toilet with foot flush, and plenty of storage. What better way to end a day of fun and camping than to relax in your memory foam queen bed in the roomy, well lit bedroom area. 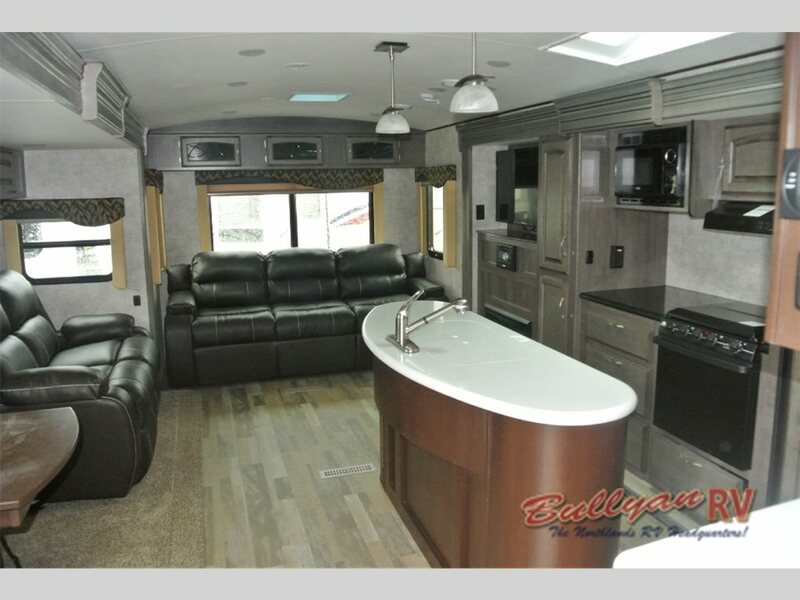 Whether you’re a couple looking for a weekend getaway or a family planning a vacation, Winnebago Ultralite has the perfect floorplan to meet your needs. From outdoor kitchens, to bunkhouses, rear living or rear entertainment, the Ultralite has you covered. 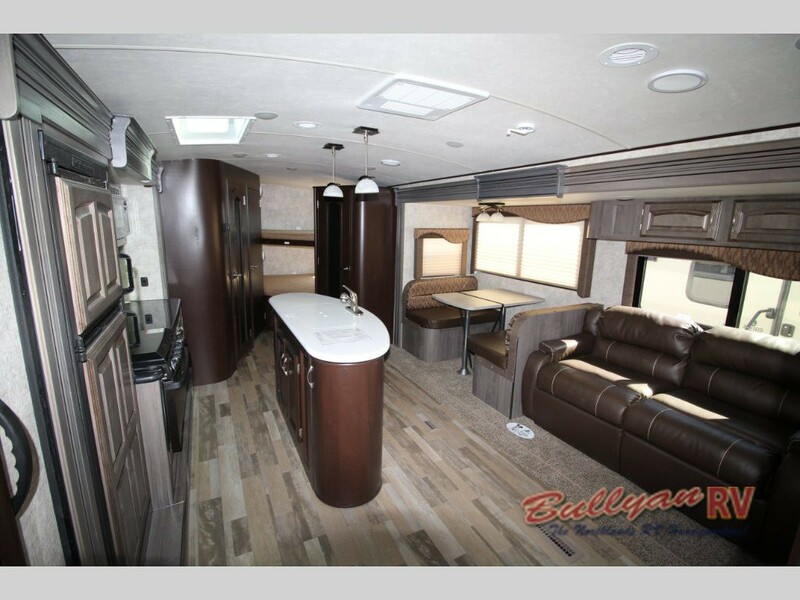 Winnebago’s styling is top notch with 3 different colored accents to choose from (red, green or blue) and a true gel coat fiberglass exterior. On the exterior, first thing you (and your fellow campers) will notice is the snazzy graphics and color scheme. This is one good looking trailer. The high gloss gel coated front fiberglass cap will protect the front of your trailer and keep it looking nice for years to come. You will find slam latch doors which makes loading and unloading your RV so much easier . The underbelly is heated and enclosed so you can go camping earlier and later in the year, maximizing the time you have for fun! Also included is a water heater bypass and winterization kit so winterizing your RV will be a snap. Looking for an outdoor kitchen? The Ultralite includes a sink, refrigerator, electric outlet and stove top. With the full range of kitchen appliances outside, you can bring your party out into the great outdoors! 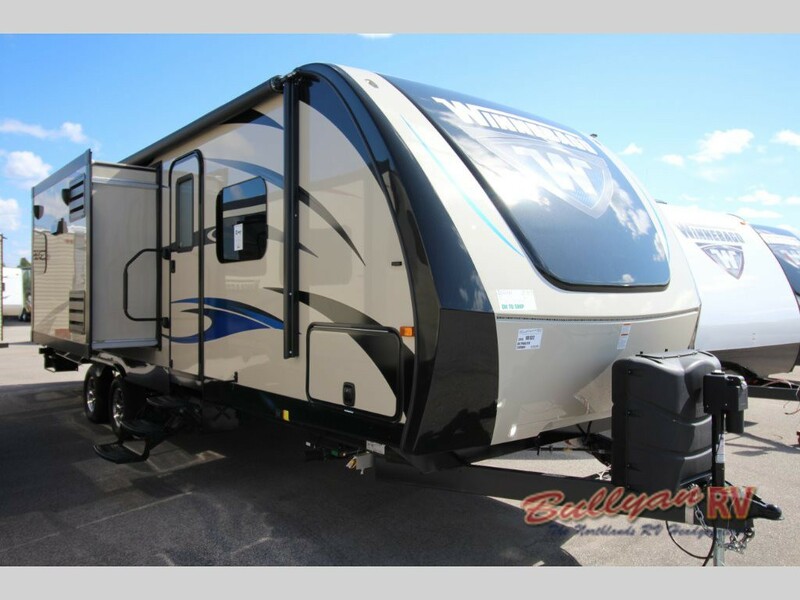 Ready to look at this beauty of a travel trailer? Contact Us at Bullyans RV today. The Winnebago Ultralite will not disappoint!